Welcome to this week’s edition of The Friday Five! 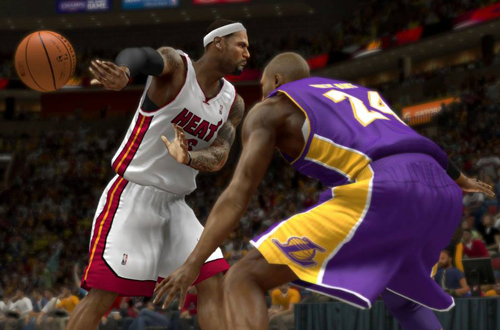 The Friday Five is a feature that I post every Friday in which I give my thoughts on a topic that’s related to NBA Live, NBA 2K, and other basketball video games, as well as the real NBA, and other areas of interest to our community. The feature is presented as either a list of five items, or in the form of a Top 5 countdown. This week’s Five is a list of five seasons that I’m oddly nostalgic for. Way back in 2013, the first year of The Friday Five, I listed my top five favourite NBA seasons. That list is still accurate, putting aside the fact that I tried to restrict the number of Chicago Bulls championship years that I included. If I were to remove that restriction, my top five would be 1996, 1997, 1998, 1993, and 1992, with 1991 being an honourable mention. 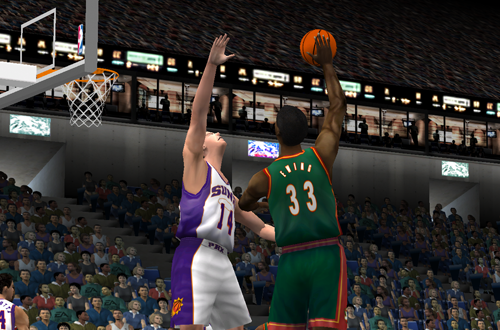 Back in 2017, I discussed five basketball video games that I’m oddly nostalgic for, given that they’re widely considered to be problematic, and don’t necessarily rank among my all-time favourites, either. I mention those previous articles in part to promote the archives of my content, but also because this week, I’m combining the two concepts. Just as there are NBA video games that I’m nostalgic for despite their issues, there are NBA seasons that I feel nostalgic for even though by all accounts, they should be among my least favourite. Video games do play a part in that of course, and since I am mashing together the ideas of two previous articles, I will touch on them in this piece as well. It’s not just my experiences on the virtual hardwood that make me nostalgic for these seasons though, as the action in the real NBA was interesting in its own right. In 1998, I was thirteen going on fourteen, and enjoying the Chicago Bulls’ run to their sixth championship. I was a passionate NBA fan who kept up with the news and knew a thing or two, but I don’t remember much discussion of the impending lockout. That’s probably because I was focused on what was happening on the court, but suffice to say, the first labour dispute to result in the cancellation of games wasn’t a lot of fun. When the lockout ended, Michael Jordan announced his retirement and Scottie Pippen was traded to the Rockets, officially ending the Bulls’ dynasty. With so many faces in new places, everything felt quite strange entering that abbreviated 1999 season. Despite the immediate fall of my favourite team and the extended break resulting in some sloppy basketball with quite a few players being out of shape, there’s something oddly enjoyable about the 1999 season. Rough as the transition was, you could feel it was the start of a new era, and there was something interesting about a lot of players who’d spent most of the decade with one team suddenly playing somewhere else. With a short schedule, every win and loss felt crucial. 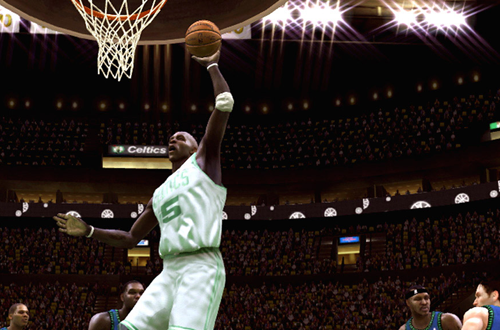 We saw an exciting crop of rookies, though they weren’t immediately featured in NBA Live 99. It was also the last season that was shown on free-to-air TV in Australia for some time. Frankly, 2001 was a whirlwind year for me personally. I entered Year 11 (the second-to-last year of high school in Australia), lost my grandmother in March, and became the webmaster/admin of the NLSC in August. I was able to take refuge from all of the turbulence with familiar interests: the NBA, and basketball video games. Of course, things were somewhat turbulent in the NBA, too. To me, 2001 is another season that represents a continuing changing of the guard for someone who grew up watching in the 90s. I was still grappling with what it felt like to be a fan of a struggling team, new stars were emerging, and even more familiar names were now in unfamiliar places. Let’s start with the Patrick Ewing trade. Just as it had been very strange to see Scottie Pippen sporting a Rockets uniform, Ewing didn’t look right in a SuperSonics jersey. All season long, there was the speculation as to where Chris Webber would end up. Anything that could be considered a clue was pored over; even the notion that he couldn’t get the food he liked if he stayed in Sacramento. The Raptors were becoming a perennial Playoff team thanks to Vince Carter, while the Bucks and 76ers were back among the top teams for the first time since I started following the NBA. With the Lakers in the midst of a threepeat, I find it an oddly nostalgic season to look back on. I’m cheating by including two seasons here, but as they’re back-to-back and comprise the same era, they kind of blend into one for me. As I mentioned in my Friday Five on games that I’m oddly nostalgic for, these years marked the end of my schooling and first foray into the real world post-high school, as well as my early years running the NLSC. It was a memorable time in the real NBA as well. I know we’re not supposed to mention Michael Jordan’s seasons with the Wizards and as a fan of the Bulls and MJ, I’m definitely not supposed to admit to enjoying them. However, even though it stung to see him in another jersey and past his prime, I have a fondness for that time. Maybe it’s because I wasn’t truly prepared for his retirement in 1998, whereas in 2002 and 2003, I was far more comfortable with the idea that he should hang up his Air Jordans. He did have his moments though, and it’s actually entertaining to go back and watch the flashes of brilliance he still had as he entered his forties. The 2003 All-Star game was also a blast, even if it didn’t have the perfect ending. Beyond that, there was the exciting (and controversial) 2002 Western Conference Finals, Jason Kidd making the Nets into contenders, and the new generation of stars coming into their own. MJ’s All-Star speech was on point: he was leaving the game in good hands. After so many miserable years, 2005, 2006, and 2007 were easily the most enjoyable seasons for Bulls fans since the championship era. They wouldn’t make it past the second round in any of those seasons, but it was fun watching the Baby Bulls make the team relevant again, with Ben Gordon becoming my favourite active player. It all came crashing down in 2008 though, with the team falling back into their losing ways. Ben Wallace was proving to be an utter disappointment, phoning it in despite getting $15 million per year. Scott Skiles was ousted, the team lost pretty much every time they were featured on ESPN Australia, and it was back to the lottery. As was the case from 1999 to 2004, however, I found compelling stories and great action elsewhere in the NBA. The new trio of Kevin Garnett, Paul Pierce, and Ray Allen were a lot of fun to watch, and I enjoyed the historical significance of seeing the Lakers and Celtics square off in the Finals. The last time it had happened, I was only three and not an NBA fan yet. The Rockets made history with what was, at the time, the third longest winning streak the NBA had ever seen. The NBA was a lot of fun that year, which made up for my favourite team dropping back into the basement. It was all worth it in the end, too, when they snagged Derrick Rose in the Draft. Yes, I’m cheating once again with a couple of back-to-back seasons. The 2013 season was the last year to date where I released a current roster update for NBA Live, and since I stopped making rosters, I’ve realised just how much it kept me hooked and allowed me to be familiar with all the players. It’s something that I miss, and a reason why I’m looking to make a return to roster mods. The 2013 and 2014 seasons are also the last two campaigns that I really enjoyed from start to finish, despite Derrick Rose’s injury woes. They’re the last two seasons before the league transitioned into the new style of basketball: chucking threes, and some of the worst All-Star games in history. Many of us “old heads” get sneered at if we express a distaste for the current NBA, and endure ignorant statements about how the league was allegedly terrible in the 80s and 90s, but the fact of the matter is I have a lot of nostalgia for the seasons between 2000 and 2014 as well. I certainly don’t think the league hasn’t been fun since the 90s. The 2013 and 2014 Finals were definitely fun, and I loved watching Patty Mills just go off in Game 5 of the latter. Yet another generation of stars was arriving in the NBA or coming into their own, while older stars were having their last run. Sure, Rose’s injuries leave me wondering what might’ve been, but there’s still nostalgia there. What are some NBA seasons that you should probably dislike because of what was happening with your favourite team or some other turn of events, but you instead find yourself feeling oddly nostalgic for? Let me know in the comments below, and as always, feel free to take the discussion to the NLSC Forum! That’s all for this week, so thanks for checking in, have a great weekend, and please join me again next Friday for another Five. I’m all for them doing some more interesting things with the historical content. It just comes down to licensing the players. One billion dollars 2k gave for 7 year resolve that! I want Randy Brown in the Bulls! It’s a separate agreement to licensing the current NBA players, but yeah, I want to see far fewer generic placeholders in the future if possible. Boomshakalaka! Episode #280 of the NLSC Podcast is heating up as Andrew chats with the legendary voice of NBA Jam, Tim Kitzrow!